Rowland & Associates an industry leading supplier of a range of equipment for conveying, compacting, baling, & shredding, of recyclable materials for transportation and/or further processing.They have been designing and manufacturing, bulk material handling, product compaction and transportation equipment since 1967.They are a family based company, with a manufacturing sales and design facility in Molendinar (Southport) in South East Queensland. The Company recognised the need to manufacture offshore some years ago and are now associated as sole distributors for Australasia with the leading Paper Machinery Company Taiwan. 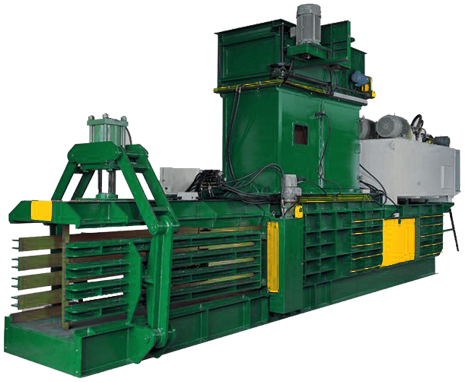 Their products and the proven design of their Baling Equipment combined with a huge and efficient manufacturing division has proven a great success. The Company are also the sole Australian Distributor for Compact & Bale Engineering, Taiwan. All local manufacturing is now centered on offering ancillary equipment to add to the imported balers - that gives this Company the marketing edge over their competitors. The sale of the business was conducted by our Founding Director Mr. Rudy Weber using Lloyds Tender Process in conjunction with the application of Lloyds Target Marketing produced some spirited offers which resulted in a highly successful Sale. Australia’s recycling crisis has gained publicity in recent years with additional publicity on TV shows such as the “war on waste” and 60 minutes pieces covering the crisis. The need to find a solution to the crisis is urgent, however Australia seems to continue to adopt temporary band-aid solutions rather than long term reform. Companies like Rowland & Associates are working hard to be part of the solution. Over 50% of Australian household waste is made up of items that can be effectively recycled. Europe’s average recyclable waste sits at 9%. Australia’s sits at 50%. A common fallacy among consumers is that all glass is equal. However there are many glass items that cannot be recycled. The recycling industry provides approx. one third of a percent of all jobs within Australia. This is more than the number of jobs created by land fill corporations. One of the key issues is that businesses and households are not penalized when they do not recycle. In many instances it costs businesses more to recycle than simply disposing of recyclables with normal rubbish, that ends up in landfill. Historically, Australia has been heavily reliant on shipping excess rubbish to China – shipping 600,000 tonnes of rubbish annually. However as of 2018, China stopped accepting Australia’s recyclable plastics, forcing the Canberra to address this crisis once and for call.